In its 44th citable decision of 2006, the Board dismissed the opposition of Michael J. McDermott to registration of the mark DYKES ON BIKES for education and entertainment services for women motorcyclists, ruling that McDermott lacked the requisite standing to bring the opposition. 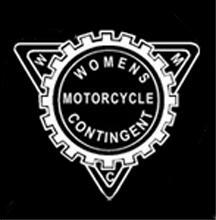 McDermott v. San Francisco Women's Motorcycle Contingent, 81 USPQ2d 1212 (TTAB 2006). McDermott contended that he set forth proper claims under Section 2(a), namely that DYKE is disparaging to men and is scandalous or immoral. As to standing, Opposer maintained that he satisfied the broad standard of Ritchie v. Simpson, 50 USPQ2d 1023 (Fed. Cir. 1999). The Board, however, disagreed. It observed that, based on opposer's responsive brief, McDermott "intended to assert in his pleading both that applicant's mark is disparaging and that it is comprised of scandalous and immoral matter under Section 2(a)." However, "the Board cannot discern any properly pleaded claim" in his notice of opposition. Nevertheless, since opposer sought to challenge the subject mark under Section 2(a), the Board proceeded to analyze the standing issue in light of the seminal Ritchie case. According to Ritchie, an opposer must satisfy two judicially-created requirements in order to have standing to oppose: (1) he must have a "real interest" in the proceedings; and (2) he must have a "reasonable basis for his belief of damage." The Ritchie court interpreted the "real interest" requirement to mean that opposer must plead "a direct and personal stake in the outcome of the opposition." The Board found that McDermott met that first standing requirement. However, McDermott failed to meet the second requirement because he did not allege sufficient facts which, if proven, would show that he has a "reasonable" basis for his belief of damage. An opposer may meet that requirement in one of two ways. First, he may show that he "possesses a trait or characteristic that is 'clearly and directly implicated by the proposed trademark.'" McDermott, however, failed to allege that he possesses such a trait or characteristic -- "that is, that he is a 'lesbian' or 'dyke.'" Instead, McDermott pleaded that he is a male, and therefore his claim that the mark is offensive is on its face only subjective to him. Alternatively, an opposer may demonstrate "reasonableness" by demonstrating that others share the same belief of harm from the proposed trademark. McDermott again failed to pass the test: 'he failed to allege any facts that others (i.e. men) share his belief of damage." Although McDermott alleged that he is personally offended by the "illegal behavior" and "illegal acts" purportedly committed by Applicants and by the USPTO's supposed endorsement of Applicant's activities by approving the mark for publication," he made no "objective allegations" regarding the reasonableness of his belief of damage. McDermott's allegations regarding Applicant's conduct directed at men during its parades were not within the Board's jurisdiction. And his allegations that the USPTO, in approving the mark for publication, gave its stamp of approval to applicant's services was flatly wrong. See In re Old Glory Condom Corp., 26 USPQ2d 1216 (TTAB 1993) [note 3]. Therefore, because Opposer McDermott failed to plead a proper Section 2(a) claim and because he failed to establish the requisite standing to oppose, the Board dismissed the opposition. You will recall that in Ritchie, the CAFC ruled that Ritchie had standing to oppose certain trademark applications filed by O.J. Simpson for the marks O.J. SIMPSON, O.J., and THE JUICE, based on Ritchie's allegation that registration of the marks "that allegedly are synonymous with wife-beater and wife-murderer" would disparage Ritchie's "alleged belief in a loving and nurturing relationship between husband and wife."